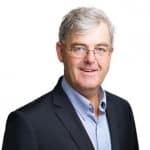 Matthew is one of the most experienced asbestos litigation lawyers in South Australia, with over a decade of experience representing claimants with asbestos related diseases. He is recognised as a Leading Dust Diseases Lawyer by Doyle’s Guide. Matthew joined Johnston Withers Lawyers in 2018 from Slater and Gordon. Matthew was inspired to work in this area of asbestos litigation following the death of a close relative from the asbestos related cancer, mesothelioma. He has a passion for his work, and an empathy and understanding that helps him communicate effectively with his clients. Matthew has handled hundreds of claims for clients with asbestos related conditions, including mesothelioma, lung cancer, asbestosis and asbestos related pleural disease, and prides himself on achieving strong results in an efficient, pragmatic and sensitive manner. 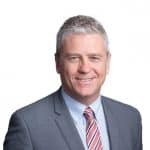 He is experienced in common law claims before the District Court of South Australia and the South Australian Employment Court, as well as pursuing workers compensation entitlements. In addition to dust diseases, Matthew also handles professional negligence cases. Outside of work Matthew enjoys watching sport, including AFL and football, and spending time with his young family.